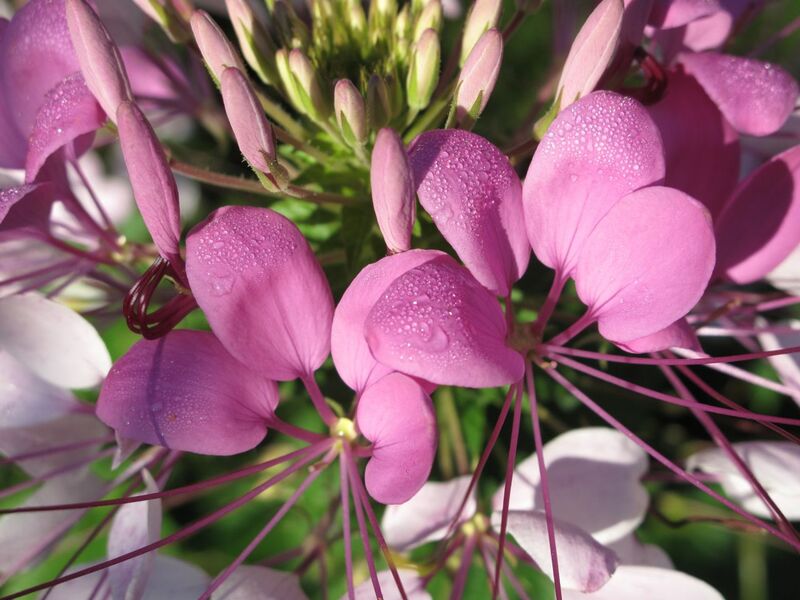 Early morning sun revealed water droplets on Cleome petals in the side garden this morning. They did and they do; I love them. They grow easily but require little effort to pull up if they get into the wrong spot. Cleome were still blooming last year in November. 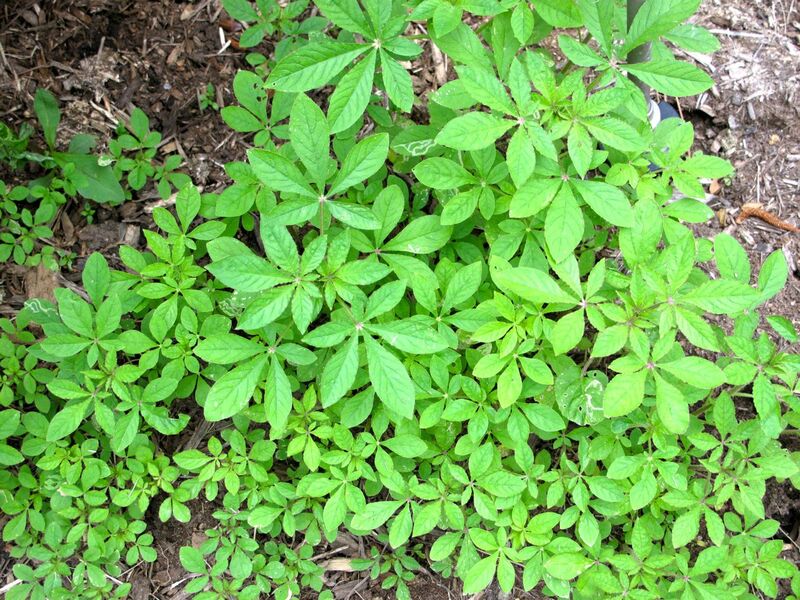 By mid-May this year Cleome seedlings were again on their way. I transplanted a few to other areas of the garden. In one new situation where it was very sunny they did well, but another area was perhaps too shady for them. 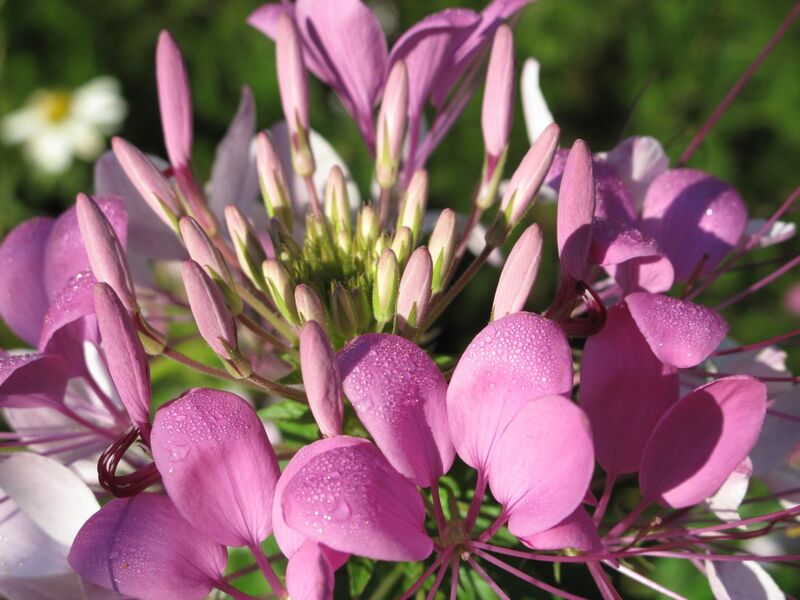 Cleome hassleriana has such an interesting form with buds, open flowers, fruiting bodies and sticky, palmate leaves all coexisting to create a complex architectural structure. As buds continue to open near the top, fruit forms underneath and all the while the stem grows taller and thicker, easily reaching 3-5 feet by the end of the flowering season in fall. The flowers are delicate and airy with 6 long stamens suggestive of spidery legs (in shape, that is, not in number) and four oval petals. 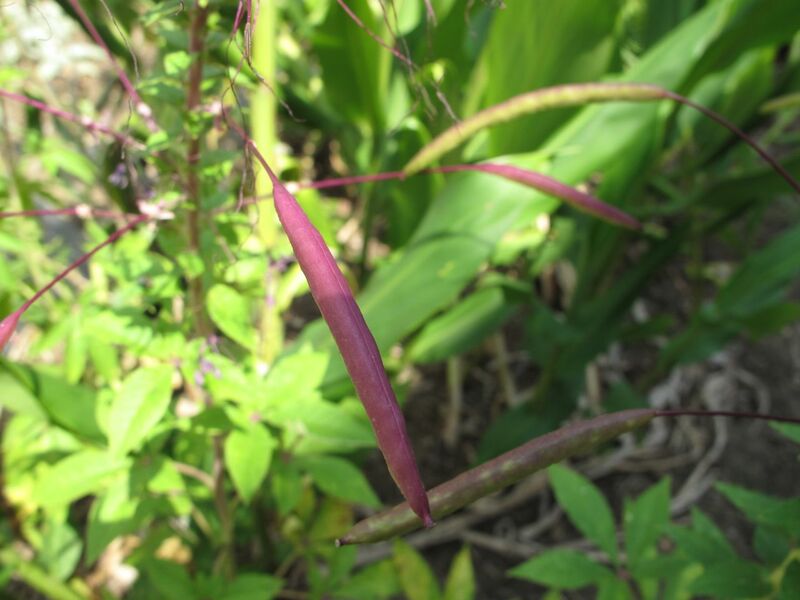 The fruit of Cleome hassleriana are long capsules. Being dehiscent, the capsules split open when mature, discharging the seeds and setting up another possible encounter with dew on Cleome petals in the garden next year. The weather is beautiful. Temperatures began cooling Saturday night and lows in the 50s and 60s are forecast for this week. Highs will be 79F tomorrow and 80s for the rest of the week. 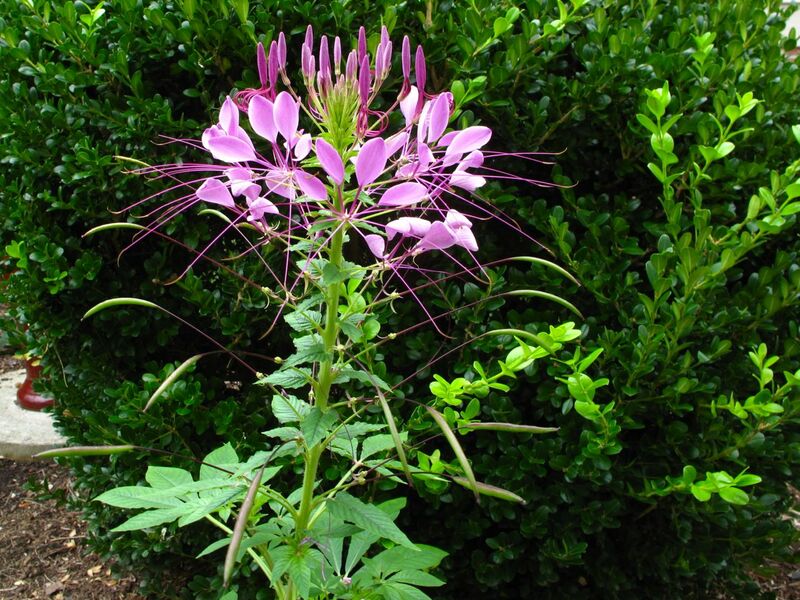 This entry was posted in garden and tagged almanac, cleome, Cleome hassleriana, pass-along plant, spider flower on September 10, 2012 by pbmgarden.